I am feeling very guilty right now for being a bum and putting Stylish Goose on hold for all those months. But after many nags from friends (especially Nelly and Anna), lots of inspiration from my new fashion magazines (which arrive at an unbelievable rate thanks to Erica and Monika) and reading all your kind comments and emails, this long hiatus came to an end. 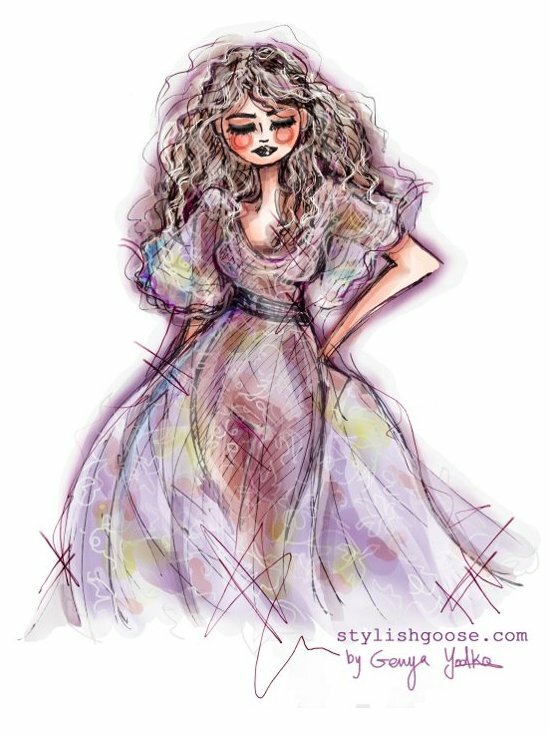 I drew this mauve princess some time ago, and got to colour it just now while watching the Oscars (...Colin Firth is Wow!...). For a change, this illustration is a no-ones design - it is completely Stylish Goose original.